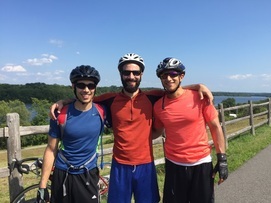 Sandro, John and I taking a gorgeous bike ride through the Hudson Area of NY. I began my working career after college in the development of a local website/business called AllForLocal. Within a year of graduating from Rensselaer Polytechnic Institute, I stumbled into a part-time job with an appraiser who was seeking help with a website related to real estate. My journey begins there. I soon discovered the world of real estate, as I engulfed myself in the prospect of becoming a Realtor, side-by-side with my brother, Frank. On May 1, 2010, I made the decision to relocate back to Fairfield County, and Norwalk, where I grew up; with real estate license in-hand. In August, Frank and I joined William Raveis Real Estate, and it was off to the races! What hooked you into making this a full-time gig? As I began this career, Frank and I quickly learned the ropes with Susan and Steve Hanson, our mentors and team leaders. This included learning about how the real estate transaction proceeds, and with each step came a new learning experience. Once we had our footing, we worked hard to find new clients, and get the business rolling forward. 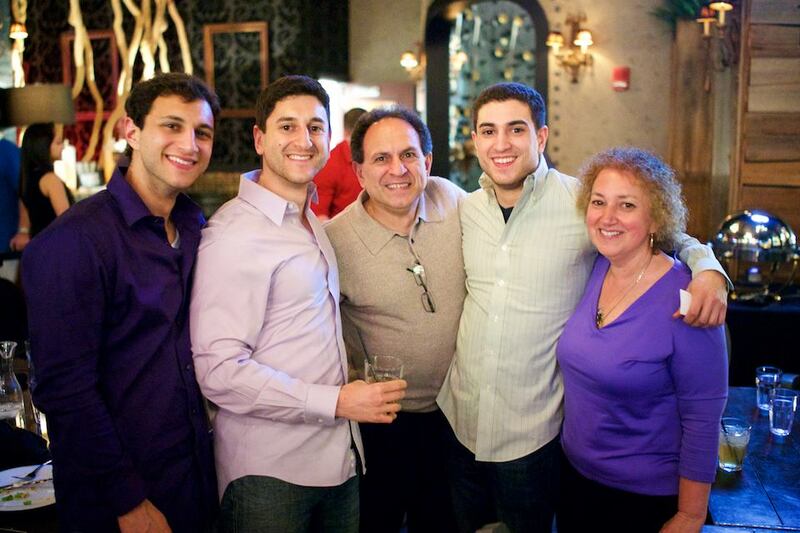 Mom, Dad, Frank, Chris, and myself at Frank's surprise 30th. As I continued to learn and service new clients, my strengths quickly became my persistence, follow-up, and honesty. Every second of each transaction required this follow-up/persistence. If something went amiss, this translated to making phone calls to everyone involved in the transaction, to get it done. I began to implement a new level of service that was essential to my client’s happiness and success. I knew this was value added to the transaction, and seemed to enable me to head off any interruptions to the process. Tell me about your experience as a listing/selling agent. I have spent over 6 years learning the ropes in real estate. My first two years were challenging, considering the market in 2009-2011 was a tough one. Inventory was high, and buyers were in short supply. The challenges and hurdles I faced in growing a business from the ground up, were priceless. Upon entering a new company in 2010, I was thrown into the game with experienced agents and colleagues telling me what I should be doing. I spent months (with Frank), contacting old friends/family/acquaintances; I created contact lists of address, emails, phone numbers; I started sending out handwritten notes, mailings, we did tens of open houses each, per year, and anything else that would establish us as a new force in real estate. In that time, we had few clients, but were able to serve them incredibly well - two agents instead of one. This was our learning time, and we were coached through every step. Fast forward a couple of years, and our business evolved greatly. 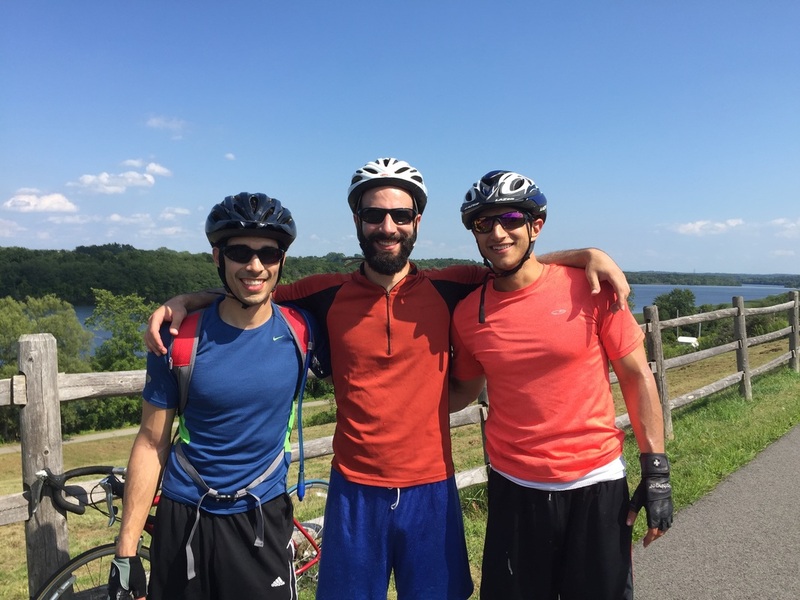 Frank actually became a full-time teacher, and I realized I no longer had the power of two. But at this point, it didn't matter any longer. I knew enough about the process, and the market, that I was able to step ahead with my work-ethic, and persistence. Much of my experience was working with residential sellers and buyers. I also closed hundreds of rentals, specifically on the listing side, pushing me to a new status in that department as well. My approach to selling homes was unique (in my blog if you want advice), and has since then evolved to an Internet-based approach, that centers around a show-ready home. For buyers, I learned that there are ways to shorten the time needed to see homes, by doing such things as previewing homes on behalf of the buyer, or in seeking out alternatives from off-market properties, for buyers that had specific needs. This has led to satisfied buyers purchasing their dream homes. Every day was a new day, every experience something to learn from. For example, I will never forget one client's adage, 'manage expectations'. This was a client for my first million dollar sale. I took that saying to heart, and since then, have used it in all of my conversations with new clients. If your clients have realistic expectations, in other words, if you don't give them false hopes, then it allows you to be honest, and gives you room to exceed expectations. I also learned quickly that real estate is a relationship game, a long-haul with each person you meet. To that end, I have been helpful to anyone that seeks advice from an expert. I am the expert, and have learned all this real estate stuff for a reason. If someone needs help, even if they don't plan to use me as their representative, it is still in my interest to give them access to my resources, 'with no expectation of personal gain'. Now, with countless sales under my belt, and a unique approach to client-relationships, I have been able to better serve each and every person that contacts me for help. 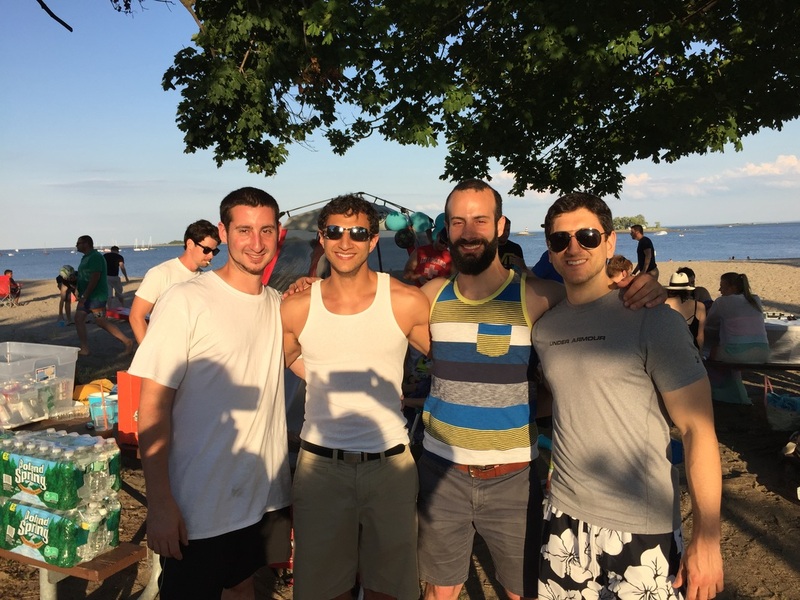 Mike, John, Frank, and I at Shady Beach for a 30th Birthday Party. What do you do besides Real Estate sales? In my free time, I do many different things. You might catch me at home playing video games, reading, and cooking; but you might also find me out with friends to a restaurant for dinner, or a bar for drinks. My biggest passion is my time spent playing soccer: I play defense for a number of teams throughout the four seasons of the year. I could not live without soccer in my life! I also love to cook, specifically by learning new techniques, new dishes, and still bringing my classic dishes to the table for friends and family. This coincides with my love of eating and trying new things. If you are new to the Fairfield County area, and want to know the best spots for the most affordable, yet delicious food, just ask! I have found every gem you could imagine. The great thing about being in real estate, with a team to support me, is my ability to go on vacation without worrying that my clients will miss something while I am gone. Traveling is a great passion, and I cannot get out of the state enough, to see the rest of the world! That same flexibility allows me to use my free-time to learn. I have become a life-long learner; I realized that I did not enjoy school because I was studying topics that were not of interest. Now, thanks to my personal growth, I find many topics fascinating, and worth discovering more about, such as American History, philosophy, self-improvement, and investing. My territory is ever-expanding, thanks to additional adoption of new technology; but physical locations do restrict how well a Realtor may know a particular market. The markets that I know best include Norwalk, Stamford, Fairfield, Trumbull, Wilton, Westport, Greenwich, Ridgefield, New Canaan, Darien, Milford, Weston, Easton, and Shelton. Don't forget, I can always assist in finding you a Realtor anywhere in the world! I know what to look for in another Realtor, so allow me to help ensure your next transaction goes as smoothly as possible by helping you find someone to represent your transaction. Now with over 6 years of experience, and growing, I have found that my perceived age (or perceived lack of experience) is no longer a hurdle. My successes in listing homes and getting them SOLD quickly has led to a snowball of new business with friends, family, and past clients. The advocacy of those that I have worked with, and those that know me personally, have been a huge boost, and I always thank them for their faith in my ability to get the job done. ﻿Advocate: A person who is a supporter of Joe's Real Estate business; one who actively tells friends, family, and colleagues about his business, passing on his name and number. Become an advocate by working with him to buy or sell your home!